The captain of an airliner that crashed in Heilongjiang province in northern China four years ago, killing 44 people, has been jailed for three years. It is the first time a pilot has been convicted on the mainland of the offense of causing a major air accident, according to the China News Service. Qi Quanjun was the captain of a Henan Airlines flight that crashed near Yichun airport in August, 2010. The flight was flying to Yichun from the provincial capital Harbin with 91 passengers and five crew on board. The aircraft crashed 690 metres away from the runway. Fifty-two people were also injured in the crash. An investigation ruled that the crash was caused by pilot error. The report said Captain Qi and his co-pilot insisted on landing the aircraft at Yichun Airport, even though the plane was engulfed in heavy fog and the runway was not visible. Injuries: 42 Fatal, 7 Serious, 47 Minor. On August 24, 2010 at 9:40 PM local time, Henan Airlines flight VD8387 (registration B-3130), an Embraer 190 equipped with General Electric (GE) CF-34 engines, impacted terrain about 1.5 km (0.9 miles) short of runway 30 during approach to Yichun Airport, Yichun, China. Of the 96 passengers and crew on board, there were 42 fatalities, 7 serious injuries, and 47 minor injuries. The airplane was substantially consumed by post-crash fire. The flight originated from the Harbin Taiping International Airport, Harbin, China. The accident is being investigated by the Civil Aviation Administration of China (CAAC). The NTSB has appointed a U.S. Accredited Representative to assist the investigation under the provisions of ICAO Annex 13 as the State of design and manufacture of the engines. After a 90-minute instrument flight rules flight, the pilot descended toward his home airport and attempted six unsuccessful instrument approaches in instrument meteorological conditions (IMC). The controller terminated three GPS approaches and one instrument landing system approach because the pilot flew through the final approach course; one GPS approach was terminated because the pilot was performing S-turns on final. Sunset occurred during the third approach attempt. After the fourth approach attempt, the controller suggested that the pilot divert to an airport with visual meteorological conditions (VMC), which the pilot declined because of the airplane’s low fuel status. During the sixth approach attempt, the pilot stated he was “getting tired of flying this airplane.” The controller offered him vectors to a VMC airport, but the pilot declined, stating he wanted to “keep working until we get it.” Soon after he made this statement, the airplane turned right toward the final approach course and rapidly descended until terrain impact. The pilot likely either attempted to descend below IMC and/or experienced spatial disorientation, but the investigation was unable to determine the precise reason for the loss of control. The pilot’s six unsuccessful approach attempts and his decision not to divert to a VMC airport revealed poor instrument flight skills, poor fuel planning, lack of situational awareness, and poor judgment. A review of medical records revealed that the pilot was using a sedating antihistamine and had several physiological issues, including vision deficits, diabetes, diabetic neuropathy. These conditions may have had an impairing effect on the pilot, but the medical investigation was limited by the degree of damage to the pilot’s body and the extent to which they may have affected the pilot at the time of the accident could not be determined. The pilot’s loss of control and subsequent impact with terrain in instrument meteorological conditions. On December 18, 2014, at 1816 central standard time, a Beech V35A airplane, N555SF, impacted terrain near Seagoville, Texas. The pilot, the sole occupant, was fatally injured and the airplane was destroyed. The airplane was registered to and operated by a private individual under the provisions of 14 Code of Federal Regulations Part 91 as a personal flight. Night instrument meteorological conditions existed at the time of the accident. The flight departed about 1535 from the South Arkansas Regional Airport (ELD), El Dorado, Arkansas and was destined for Mesquite Metro Airport (HQZ) Mesquite, Texas. At 1708, after descending into the HQZ area, the pilot received vectors from air traffic control to final for the RNAV (GPS) RWY 35 approach, but he flew through the final approach course. After the controller issued a vector to rejoin final, the pilot flew through the final approach course a second time. The controller queried the pilot if he heard his last transmission, but the pilot did not respond. 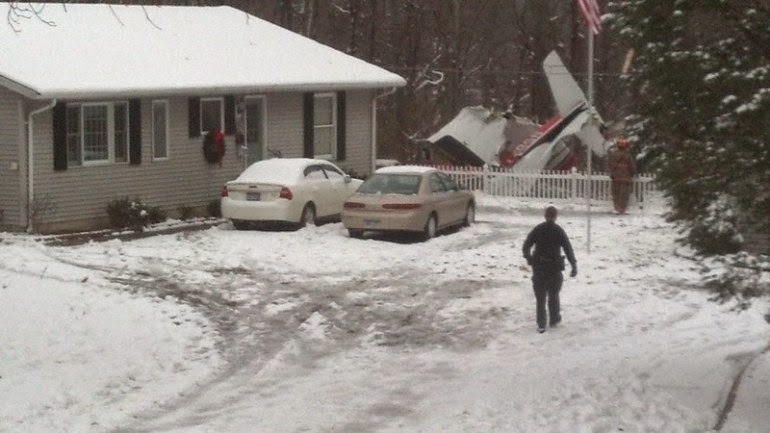 After a second query, the pilot responded that he was "busy flying the airplane." At 1712, the pilot received vectors for a second GPS approach. At 1714, the controller informed him that he had flown through final approach course again, with no acknowledgment from the pilot. Following termination of this approach by the controller, the pilot requested to fly the full GPS approach by starting from outside the initial approach fix (YEAGR). At 1723, controller informed the pilot he was abeam YEAGR and requested the aircraft's fuel status, which the pilot reported as eight hours. The controller instructed the pilot to proceed direct to YEAGR and fly the procedure turn approach. At 1735, while on the final approach course inside the final approach fix (IKUSE), the pilot was directed to execute a go-around, after the controller noticed the airplane making S-turns. The controller directed a climb to 2,000 ft mean sea level (msl) several times, but the pilot did not respond. At 1738, the pilot acknowledged his climb clearance and agreed with the controller's suggestion to fly an ILS approach to Runway 17, which would be the fourth approach attempt. At 1744, controller instructed the pilot to intercept the localizer and cleared him for the ILS approach. At 1746, the controller advised the pilot he was flying through the final approach course, with no response. The controller canceled the approach clearance and advised the pilot of visual meteorological conditions (VMC) airports in the area where he might conduct a visual approach. The pilot replied with his request to fly to YEAGR to attempt another GPS approach. The controller asked the pilot if it might help to talk to a different controller who was also a pilot. The pilot replied that he just wanted to fly the full GPS approach, with no shortcuts. At 1752, the controller cleared the pilot to fly direct to YEAGR and report procedure turn inbound. At 1808, the pilot was cleared for the RNAV GPS Runway 35 approach. At 1809, the controller asked the pilot if he was turning off-course towards the east and to confirm that he would turn back to the final approach. At 1810, the pilot requested a vector and the controller canceled the approach clearance. The pilot requested vectors for another GPS approach. At 1814, the controller cleared the pilot to fly the RNAV GPS Runway 35 approach, which would be the sixth approach attempt. 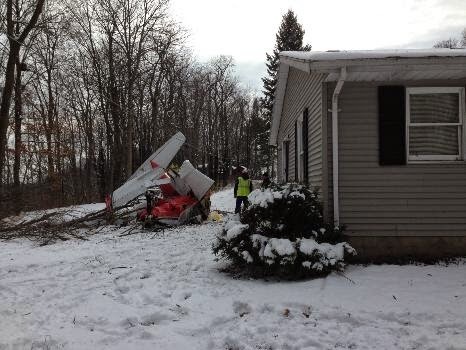 The pilot acknowledged the approach clearance and stated he was "getting tired of flying this airplane". The controller asked the pilot if there was anything he could do to help and if he would like to try a VMC airport. The pilot replied he would like to continue to attempt to land at HQZ and "keep working until we get it". At 1816, after noticing a descending right turn toward the final approach course, the controller instructed the pilot to climb to 2,000 ft msl, followed by issuance of a low altitude alert. The pilot did not respond and the airplane continued to turn right and it entered into a rapid descent until terrain impact. The pilot, age 73, held a commercial pilot certificate with airplane single-engine land, multi-engine land, and instrument ratings. On April 22, 2014, the pilot was issued a special issuance Class 3 medical certificate, which required corrective lenses be available for near vision and was not valid after one year. At the time of the medical examination, the pilot reported having 5,100 hours of total flight experience, with 40 hours in the last six months. On August 21, 2014, the pilot accomplished an instrument proficiency check in the accident airplane. Night flight experience was not recorded in the pilot's most recent logbook. The pilot's medical history included treated hypertension since 1995 and type 2 diabetes since 1998, complicated by a degree of diabetic neuropathy that was "mild" in 2002 and not mentioned thereafter. His medical history also included bilateral diabetic retinopathy which required laser photocoagulation, bilateral cataracts (right greater than left), and diabetic papillopathy in the left eye. In April of 2014, there was laboratory evidence of worsening renal function, but the cause was unclear and the pilot did not follow up with his physician for further testing. At the time of his last FAA medical exam, the pilot reported using metformin, pioglitazone, valsartan, hydrochlorothiazide and nebivolol. Metformin and pioglitazone are oral prescription medications used to treat diabetes. Valsartan is an oral prescription medication for hypertension. Hydrochlorothiazide is an oral prescription diuretic medication used to treat hypertension and heart failure. Nebivolol is an oral prescription beta blocker medication used to treat hypertension. According to his wife, the pilot was having difficulty with his night vision and depth perception. She stated that he avoided flying at night and that he had struck objects while maneuvering his car in a parking garage in the months prior to the accident. The accident airplane, a 1967 Beech V35A, was registered to the pilot and equipped with a Continental IO-520BA engine, serial number 814377-R. The last annual inspection recorded in maintenance logbooks occurred on February 14, 2013, with 6,115 total airframe hours and 626 hours since last engine overhaul. Since 2009, the airplane was equipped with a Garmin G-600 Integrated Flight Display System, a King KFC-200 autopilot, dual Garmin GNS-430W integrated GPS navigation receiver/communications transceivers, and a Garmin GDL-69A XM radio/weather receiver. On September 16, 2013, a Garmin GDL-88 ADS-B transceiver was installed. At 1825, the weather observation station at HQZ, located about 8 miles north of the accident site, reported wind from 020 degrees at 4 knots, visibility 4 miles, mist, overcast clouds at 600 ft above ground level (agl), temperature 8 degrees C, dew point 7 degrees C, altimeter setting 30.16. Astronomical data obtained from the United States Naval Observatory for the accident site indicated that sunset time was 1723. At 1520, the pilot received an official weather briefing from Lockheed Martin Flight Service (LMFS) via the ForeFlight.com website. The weather briefing contained standard weather information in text format. An Airmen's Meteorological Information (AIRMET) valid at the accident time forecast instrument flight rules (IFR) conditions, with ceiling below 1,000 ft agl and visibility below 3 miles in precipitation and mist. The full LMFS briefing and NTSB weather study are located in the docket for this investigation. The airplane impacted terrain in a nose low, right wing down attitude and the engine impacted 28 feet beyond the initial impact point, creating a 4 ft deep crater. The aircraft tumbled and separated into multiple pieces. 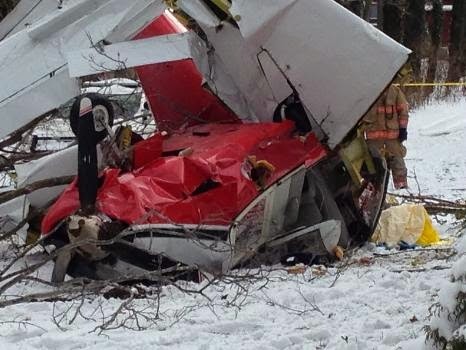 The fuselage came to rest 110 feet beyond the initial impact point. Flight control cable continuity for the elevator and rudder controls was confirmed from the tail surfaces to the forward carry through spar. Aileron flight control cable continuity was confirmed from the forward carry through spar to the wing bellcranks. One of the right aileron cables had separated in tension overload. Damage to the remainder of the control cable system precluded its examination. The primary digital flight display and line replaceable units that provide data to the displays were fractured into multiple pieces. The face plates of two analog altimeters displayed the correct altimeter setting. The standby attitude indicator gyro rotor was removed from its indicator and exhibited rotation scoring on the rotor and the housing. The three propeller blades remained attached to the propeller hub, which was inside the crater created by the engine. One propeller blade exhibited "S" type bending, the second blade was bent aft, and the third blade appeared straight. During recovery of the engine from the crater, impact damage included a breach in the crankcase. The crankshaft was broken, with the propeller flange remaining attached to the separated propeller hub. The induction system was destroyed by impact forces and the throttle body was broken into several small pieces. The throttle arm remained secured to the throttle body shaft, with the attaching nut in place to secure the throttle arm. All fuel tanks were breached due to impact forces. The fuel manifold diaphragm was intact. The fuel screen was clear of debris, with no fuel found. Examination of the airframe and engine revealed no evidence of mechanical malfunctions or failures that would have precluded normal operation. On December 19, 2014, an autopsy was performed on the pilot by the Dallas County Institute of Forensic Sciences. The cause of death was blunt force injuries. The FAA's Civil Aeromedical Institute in Oklahoma City, Oklahoma performed toxicology tests on the pilot. Medical evaluation was limited by the degree of injury to the body. The brain, heart, and kidneys were not available for examination and there was no blood, vitreous, or urine available for toxicology or clinical testing. Ethanol was identified in the liver, but not in muscle. Diphenhydramine was identified in both liver and muscle. Diphenhydramine is a sedating antihistamine used to treat allergy symptoms and is a sleep aid. It is available over the counter under the trade names Benadryl and Unisom. Diphenhydramine carries the following warning: may impair mental and/or physical ability required for the performance of potentially hazardous tasks (e.g., driving, operating heavy machinery). Data from the engine monitor was downloaded and plotted. The airplane's fuel flow of 27 gallons per hour (gph), consistent with takeoff power, was observed towards the start of the recording. A similar fuel flow was observed four times throughout the event flight at 17:10:42, 17:26:12, 18:00:24, and 18:07:48. At 18:13:12, the fuel flow dropped to an average of 7 gph, consistent with low power, for the duration of the recording. The airplane was configured with two main and two tip fuel tanks with a capacity of 40 gallons and 20 gallons each, respectively. The refueling lineman stated that he added 16 gallons of fuel and was not able to visually sight any fuel in either main tank, consistent with about 44 gallons of fuel or less on board. Data from the engine monitor indicated that 44.4 gallons of fuel had been consumed at the time of the accident. The United States Air Force conducted a GPS performance analysis for the time period of the accident. No indications of a loss or degradation of the GPS signal in the accident area were present. On December 18, 2014, about 1817 central standard time, a Beech V35A airplane, N555SF, impacted terrain near Seagoville, Texas. The pilot, the sole occupant, was fatally injured and the airplane was destroyed. The airplane was registered to and operated by a private individual under the provisions of 14 Code of Federal Regulations Part 91 as a personal flight. Night instrument meteorological conditions existed at the time of the accident. The flight departed from the South Arkansas Regional Airport (ELD), El Dorado, Arkansas about 1535 on an instrument flight rules (IFR) flight plan and was destined for Mesquite Metro Airport (HQZ) Mesquite, Texas. 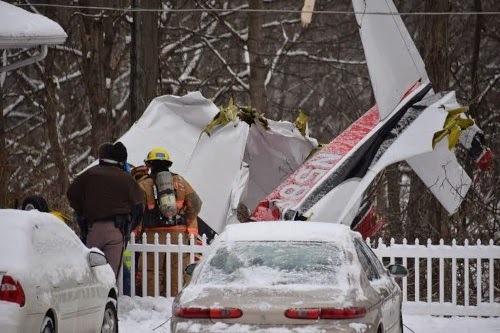 According to a preliminary review of air traffic control voice and radar recordings, the pilot made an IFR descent toward HQZ and attempted several unsuccessful instrument approaches into HQZ. Following the last aborted instrument approach, the airplane began a right turning descent and both radar and radio contact were subsequently lost. The weather observation station at HQZ, located about 8 miles north of the accident site, reported the following conditions at 1825: wind from 020 degrees at 4 knots, visibility 4 miles, mist, overcast clouds at 600 feet above ground level, temperature 8 degrees Celsius (C), dew point 7 degrees C, altimeter setting 30.16. SEAGOVILLE -- Others heard it, but Teresa Steele may have been the only person who saw the Beechcraft Bonanza V35A fall from the sky around 6:15 p.m. Thursday in Seagoville. She tells News 8 exclusively that she knew tragedy was about to strike. "I saw it and I thought, 'this is going to crash, because he's going too low and he's going too fast to pull up,'" said Steele. "It just dropped out of the clouds, it was really foggy. I'm afraid he must have gotten confused in the fog." Steele heard a thud about 30 seconds later as the plane crashed nearly a mile away, in the 1600 block of Bent Tree Road. All that remains are mangled pieces of metal, crumpled next to a barn just yards from a home. Throughout the morning, Seagoville police guarded the scene. The woman who lives in the home nearby could be seen walking past the debris to feed her horses. She was too shaken to speak with reporters. Two FAA officials arrived early in the morning, combing through debris and taking pictures to piece together the initial parts of the investigation. An NTSB investigator is expected to arrive from Colorado Friday afternoon to lead the investigation. So far, the FAA will only confirm that the pilot was on his way to the Mesquite airport, about nine miles away, when he lost radio and radar contact with the air traffic controllers around 6:15 p.m. 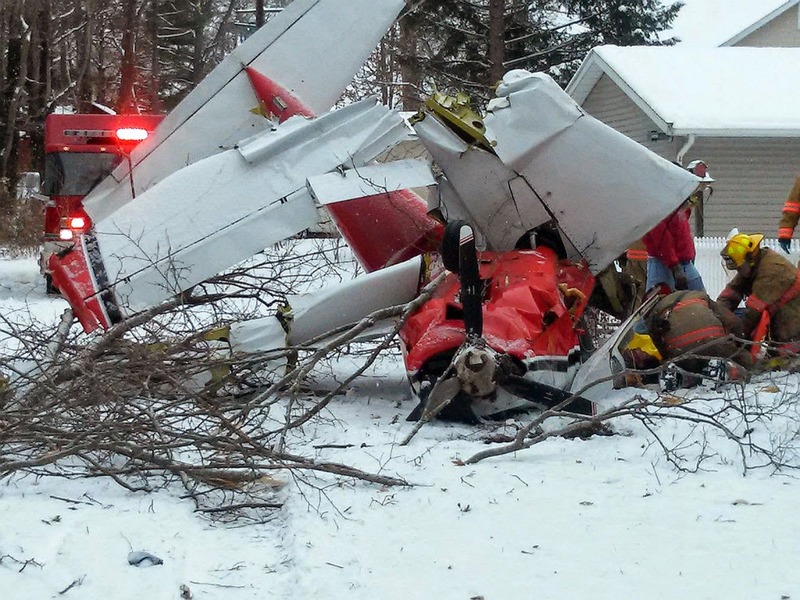 The pilot had limited visibility because of weather conditions. "All of a sudden you hear a full airplane roar; seemed like it was right over the house. At the same time, I heard it pass over. I heard a thunk on the top of my roof, like someone dropped a brick over it or something like that," said Fred Baugh, who lives across the street from where the plane crashed. Baugh said it did not appear debris hit his home. He said shrapnel hit his neighbor's horse, which suffered a minor injury. There are no reports of any other serious injuries or damage to homes. The Dallas Medical Examiner's officer is still trying to identify the pilot. 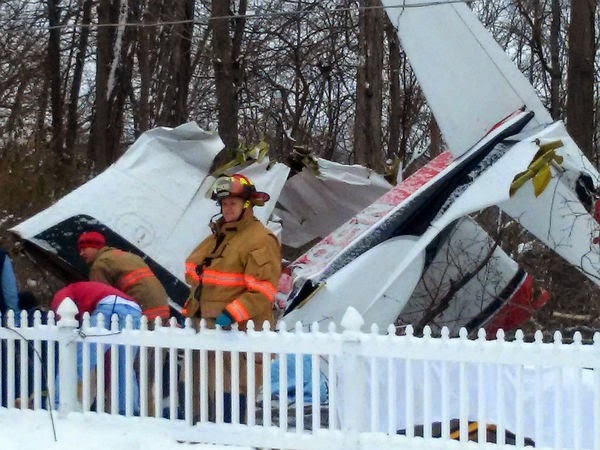 The FAA says the NTSB's investigation could take several months to a year to complete. SEAGOVILLE, Texas—“It’s not something you’d expect to have happen right in the middle of cooking dinner…having a plane crash next to you,” Seagoville resident Fred Baugh said. But it did. After 6 o’clock Thursday evening, a small plane crashed near this Seagoville house. The pilot—killed. You can still see pieces of the red, white, and blue plane next to this barn. Nothing could prepare his 14-year-old daughter for what saw next. “The pilot had been killed instantly…It was body parts, and she had to stand next to it for a long time. She had kind of a traumatic night. She handled it really well,” Baugh explained. The FAA says the plane lost contact about 5 miles south of the Mesquite Metro Airport. Although none of these houses were damaged, there is no happy ending. Attorney David Jordan provides closing arguments before the Bushkill Township Board of Supervisors. Bushkill Township residents living near Keller Road soon could see a helicopter taking off and landing after supervisors gave the OK for businessman Richard Villone to construct a heliport on existing farmland. Villone and his wife, Heather, of Bethlehem Township, Pennsylvania had filed an application on Aug. 4 to construct the private-use, 200-by-200-square-foot landing pad on land they are seeking to buy in the 1100 block of Keller Road. Township supervisors on Thursday unanimously gave the nod following a handful of hearings with experts providing testimony. Supervisor Julianne Bender made the motion to grant the couple conditional use approval and Supervisor Carolyn Hill seconded it. Supervisors set various conditions on the heliport. Villone will not be able to store fuel on the estimated 77-acre property -- something he had wanted to do in an above-ground trailer. The helicopter's noise can't exceed 65 decibels and Villone will only be able to fly an hour before sunrise to an hour after sunset. He also must limit his travel to 20 trips per week and no more than four trips per day. All the conditions were set forth by supervisors' Vice Chairman Jason Smith, who is board liaison to the township planning commission. Township planners had recommended supervisors approve the landing pad. When asked if the Villones can comply with the conditions, David Jordan, the attorney representing the couple, said he would be discussing it with his clients. Jordan said he would have rather had specific times set by the board than sunrise and sunset. "We're happy that they accredited our application and they believe the Villones will act properly and neighborly," Jordan said. Neighbors in opposition of the helicopter pad expressed disapproval when leaving the meeting. A petition previously had gathered an estimated 200 signatures against the project. However, resident Bill Sprague, who spearheaded the petition, later rescinded his and two other signatures and waged support for the Villones. "We're disappointed," said Baron Road resident Richard Steiner after the vote. "I think there was certainly enough conditions for the supervisors to be able to find opposition to the application." Colleen Brooks, who operates nearby Williams Manor Personal Care Home, had said the peace and tranquil living marketed by her facility will be destroyed by the helicopter. The facility's patients include those diagnosed with Alzheimer's Disease and dementia and others, under hospice care. "It's a safety issue," Brooks said, noting patients could become startled by the noise. 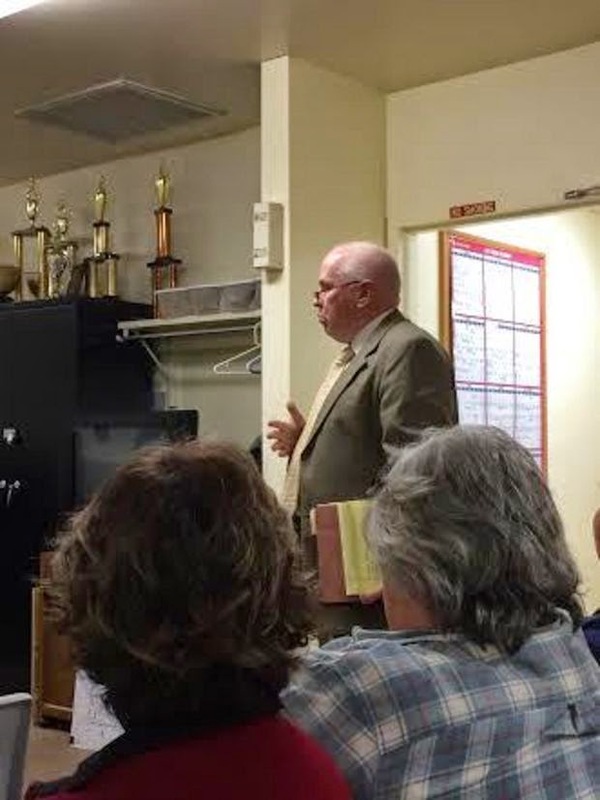 In closing arguments, Steiner, representing Baron Road residents, had blasted Richard Villone for not providing a private demonstration of the helicopter at the request of neighbors. He said a study conducted by Norman Dotti, an acoustical engineer from Butler, New Jersey-based Russell Acoustics, wasn't convincing enough. "The applicant has failed to demonstrate that the quality of neighborhood life for these long-term residents will not be adversely affected," Steiner argued. He said many residents have horses that could become spooked by the helicopter and riders will have to endure safety risks. Jordan told the board Steiner was "throwing things at the wall and hoping they stick." Jordan had advised his clients not to do the private demonstration because he believed objectors would continue to voice opposition no matter what had taken place in the demonstration, he said. Jordan poked holes in Steiner quoting national crash statistics pertaining to a Robinson R44, Villone's helicopter model. Jordan said it is one of the most popular models in the world and used during training exercises. He blamed a recall for the crashes and said there haven't been any deaths since the gas tanks were fixed based on that recall. "You have no proof that anything bad is going to happen from this heliport," Jordan told the board. He said horses also can be spooked by under things, such as motorcycles. Richard Villone has been a licensed pilot since 2008, with extensive training completed as required by the Federal Aviation Administration, Jordan told the board. To date, Villone has flown 300 hours and only needed 25 hours to be licensed, he said. "He could have come and said, 'I got my license and I want my heliport,'" Jordan said "He said (six years later), 'I think I am good enough and safe enough to put my heliport in your township.'" This is the fourth heliport to gain approval in Bushkill Township. Township supervisors previously have given the nod to private helicopter pads in the 1200 block of Bushkill Center Road on seven acres; 900 block of State Park Road on 19 acres and 1300 block of Church Road on 10 acres. The pilot stated that he calculated that the airplane had sufficient fuel on board for about 90 minutes of flight; he estimated that the flight to his intended destination would take about 70 minutes. The flight encountered weather as it approached its destination, so the pilot decided to circle the area until the weather cleared. Once the weather cleared, he lined up the airplane on final approach for the runway. The pilot stated that, about 4 miles from the runway, the airplane experienced a total loss of engine power because the airplane ran out of fuel. During the subsequent forced landing, the airplane impacted trees and terrain. The pilot’s inadequate fuel planning, which resulted in a total loss of engine power due to fuel exhaustion. 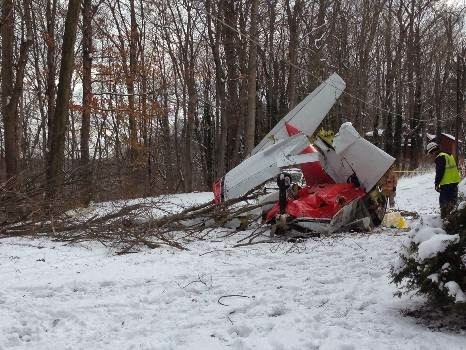 On November 28, 2014, about 1110 eastern standard time, a Piper PA-24 airplane, N5897P, sustained substantial damage following a total loss of engine power enroute to Andrews University Airpark (C20), Berrien Springs, MI. 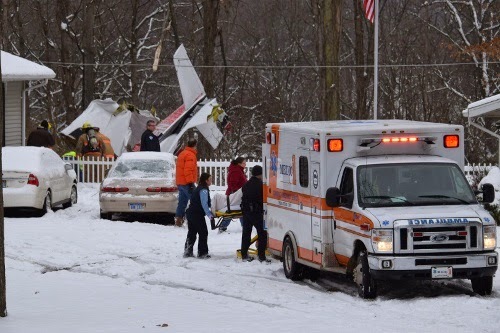 The pilot, who was the registered owner, co-pilot, and 2 passengers were seriously injured. Visual meteorological conditions prevailed at the time of departure from Richmond Municipal Airport, Richmond, Indiana. The flight was being operated in accordance with 14 Code of Federal Regulations Part 91, as a personal flight and an instrument flight plan had been filed. 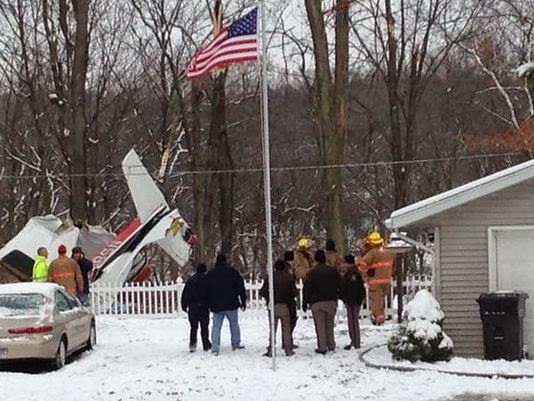 The pilot stated he was planning a 70 minute flight enroute to his destination. The fixed based operator at his departure airport was closed and fuel was not available. He had calculated there was 90 minutes of fuel onboard the airplane based on a previous flight 2 days prior. The pilot reported he encountered weather as he approached his intended destination and decided to circle until the weather cleared. When the weather cleared he lined up on final approach for the runway. The pilot stated that approximately 4 miles from the runway he encountered a total loss of engine power when the airplane ran out of fuel. During the subsequent forced landing, the airplane impacted trees and terrain causing substantial damage to airplane's fuselage and wings. RICHMOND, Ind. 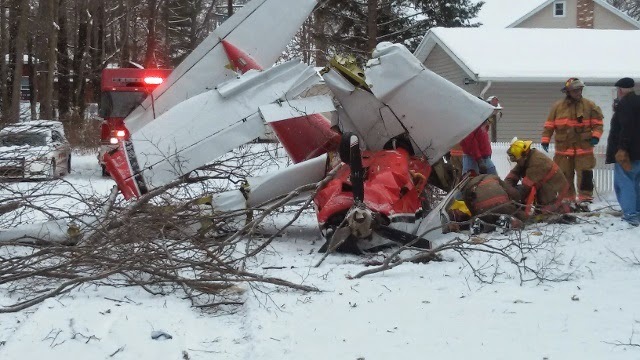 - Four people survived a plane crash in Berrien Springs on the day after Thanksgiving. 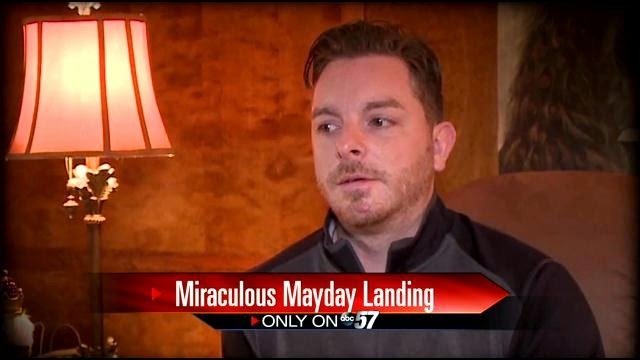 ABC57 went to Richmond, Indiana to check in with the pilot and his mother, who is in rehabilitation. “Every time I close my eyes, it's like those images just keep coming back,” said pilot Bryce Fisher. For Fisher, a trip on Black Friday to visit his grandmother in Berrien Springs quickly turned into a nightmare that keeps replaying in his head. “I don't remember panicking. I don't remember thinking this is it. It was just complete tunnel vision in a situation like that. Between the engine dying and actually hitting the trees, we probably had 25 to 30 seconds,” said Fisher. He had seconds to make a miraculous landing. He landed 2 feet from a home, 2 feet from a ravine and in between trees. “If we had gone into the St. Joseph River, we would have drowned. I was trapped. She was trapped. So it was by the hand of God that we're alive today,” said Fisher. Fisher obtained his pilots and mechanics license at Andrews University. He is thankful for the training he received. And he believes the power cable between trees helped stop the Piper Comanche just in time. “After the dust settled I just remember trying to listen is anybody else okay? And for the first minute I didn't hear anybody so it was really terrifying,” said Fisher. Fisher's father Dr. William Fisher is 72 years old and even though he had several broken bones, he was up and walking around at the scene. Dr. Fisher has been flying for 45 years. “He with a broken back, pulls out my mom. And pulls out Miritha. When it came to me I was kind of trapped. And he was like, ‘Son, I can't do it,'” said Fisher. 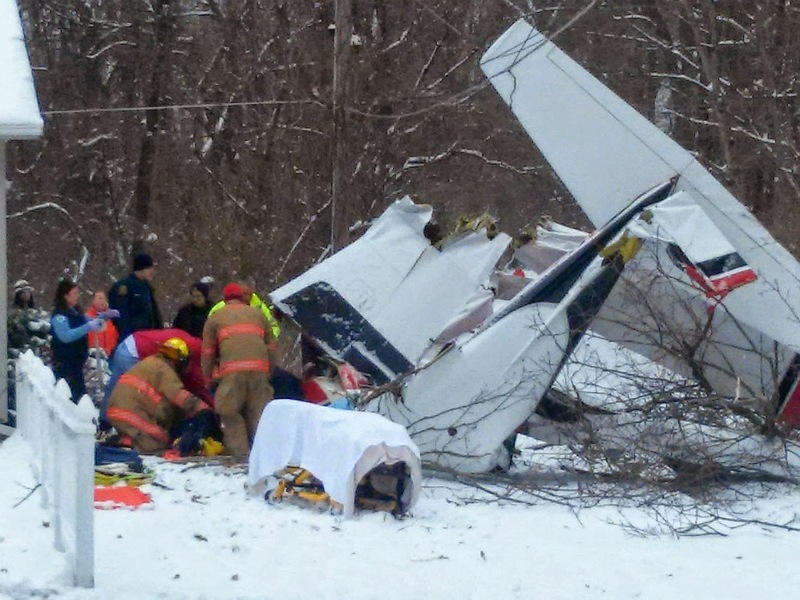 Fisher says the plane landed upside down and his head was in the snow, but somehow, he didn't lose consciousness. “I must have hit something on the instrument panel that was really strong and narrow because it impacted my tooth and broke my maxilla bone, my palate. They were like, ‘Do you remember swallowing your tooth?' And I was like, ‘No!' they didn't know until they took a CT scan that the tooth was in my nasal cavity,” said Fisher. Fisher's girlfriend Miritha Morales suffered a broken leg. His mom had a broken hip and arm. Fisher's mom, Barbara, is at the Acute Rehabilitation Center in Richmond, Indiana. It was emotional for their family as they held hands. Barbara said through the tears that she believes she's alive because she was praying when they crashed. “Miritha, Bryce, Bill, and I, our hands are securely in the Lord. Can't be any other way,” said Barbara. The Fishers are hoping for a Christmas miracle. They are hoping to bring Barbara home on Christmas day. Doctors said she should make a full recovery. President Barack Obama on Thursday signed into law the bill that allows the St. Clair Regional Airport to close. Earlier this month, the U.S. House and Senate both passed the bill. It was delivered to the president last week. "Today changes the face of St. Clair moving forward," Mayor Ron Blum said in a quick statement on Thursday evening. State Rep. Dave Hinson of St. Clair reported the news about the bill to Blum and The Missourian. There was no debate on S.B. 2759 before it passed on a voice vote in the House and Senate. Online information about the bill states it was passed by both chambers in identical form. U.S. Sen. Claire McCaskill of Missouri sponsored the bill. It was cosponsored by Roy Blunt, also of Missouri. U.S. Rep. Blaine Luetkemeyer worked the bill through the House. St. Clair has been trying for years to close the airport located on the north side of the city and use the 80-acre parcel for much-needed retail development. City officials had been working with the FAA and MoDOT on the closure process. Without the bill, permission would have had to be granted by the FAA because the city obtained and used federal grants to make improvements at the facility as late as 2006. For more, see The Weekend Missourian. Each time his 1949 Piper PA-11 closed in on one of Colorado's iconic fourteeners, Garrett Fisher scanned the frozen vistas for an escape route. If the engine were to cut out over the Sangre de Cristo range - which he flew on a subzero day huddled in two ski jackets and two pair of ski pants - he'd have his choice of emergency landings in snowbound farm fields to the east and west. But if disaster came over the jagged ridges and jutting rock outcrops of the Elks or San Juans, options would be more limited. "The issue is first surviving the landing. Then you're in crazy, rocky terrain with snow up to your chest, and the issue is: How do you get out?" Such are the concerns of a high-flying peak bagger. Fisher, 33, says he's fascinated by the beauty of Colorado's frozen peaks, and to document his vision, he undertook a bold photography project: capturing Colorado's 58 peaks of 14,000 feet or more from the cockpit of an antique plane. Getting his shots took about 45 days over eight months and meant "flying by the seat of his pants with a map, no heat and no radio," as he says in jacket copy for a self-published book that resulted from the venture, "Above the Summit: An Antique Airplane Conquers Colorado's Fourteeners." Organized by mountain range, the book contains 111 images along with detailed maps, an index of where to find each peak, and data on image orientation. It's available at Amazon.com and at Fisher's website, garrettfisher.me. While there's nothing new about aerial photography of fourteeners - they're routinely photographed by federal agencies and conservation groups, among others - this project is focused on their aesthetic value. There's also the wrinkle of navigating high-mountain winds in a single-engine, two-passenger plane packing no more than 100 horsepower. "It's the bare-minimum legal instrumentation, including compass, a few engine gauges and airspeed and altimeter," Fisher said. Restored by Fisher's grandfather in 1996, it's also the plane he learned to fly at a family-owned, grass landing strip in upstate New York, he said. A financial consultant, Fisher was living in Breckenridge when he decided to take a run at photographing the fourteeners. He began by flying toward the mountains and testing air currents to get a sense for how the plane would hold up to high altitude winds, and he hewed to a rule of thumb for safety: Fly no lower than the peak he's attempting to photograph. From the cockpit of his Piper, Fisher said an updraft felt as if he were being pushed from under his seat vertically into the sky. He kept his window open so that the Plexiglass didn't interfere with his camera, leaving him vulnerable to a "90 mph breeze down the back of my neck." "Each flight was an adventure," he said. "Every single one of them had something different that was scary or a challenge had to be overcome. That's mountain flying. It's filled with unexpected outcomes. Each time I flew I got a little less terrified." Because Fisher would be using the photographs for profit (he hasn't made any money yet, he says), he first had to get a commercial pilot's license. Under FAA rules, pilots are free to fly near fourteeners so long as it's done safely, he said. The project did involve violating voluntary airspace designations meant to preserve peace at Wilderness Areas, though Fisher said he left a soundless footprint. Fisher, who's now living with his wife, Anne, in North Carolina's Outer Banks, says he's got other books of aerial photography in the offing, including plans to return to Colorado to photograph its most famous peaks during the summer. Why start with winter time? "Kind of 'why wouldn't you' is my thought," he said. "I like clear air. And the air here in winter is absolutely the clearest air I've ever seen." Fiji Link now has three ATR planes. As the 5 year plan continues to gain momentum for Fiji Airways and Fiji Link, the new ATR72-600 was officially handed over to Fiji Link in Toulouse earlier today. ATR CEO Patrick de Castelbajac handed over the keys of the new plane to Fiji Link CEO Shaenaz Voss which now opens up further opportunities for Fiji Link to look at other regional routes. Voss said this is an exciting time for the airline as the new ATR has a seating capacity of 70. She also confirmed there are more job opportunities after the delivery of the new aircraft. When questioned on the leasing arrangement of the new plane, Voss said the lease details are confidential. ATR CEO Castlebajac said Fiji Link has taken the step to lease the plane as the ATR has a backlog of 300 planes to deliver. He said if Fiji Link would have placed its order, it would have joined that backlog and this would have meant that it could not expand its network. The catalog price for the outright purchase of the plane is 25 million US dollars. The plane is now flying to Fiji and will reach Nadi next Tuesday. Meanwhile, Flying Fijian and top Toulouse wing Timoci Matanavou was a special guest at the handover today. He also took part in the delivery ceremony and Voss said Fiji Link was lucky that Matanavou could attend this historic ceremony. 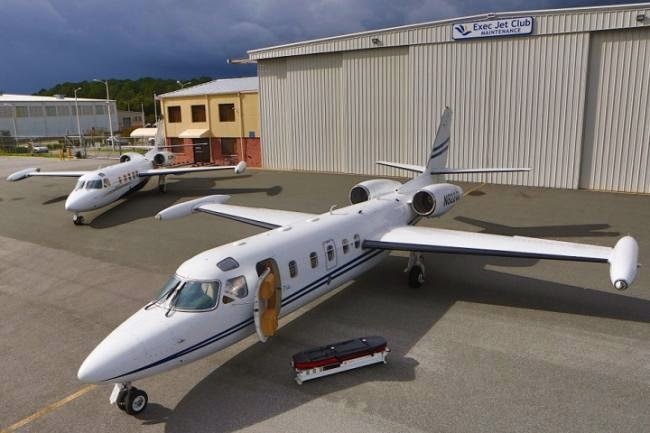 A charter airline and aircraft maintenance company based in Gainesville and serving Ocala has closed its doors nearly a month after federal authorities arrested its CEO in Puerto Rico, allegedly with more than $600,000 in undeclared cash aboard a private plane. Exec Jet Club is not conducting any operations at Gainesville Regional Airport but does have at least one employee at the Gainesville location, Laura Aguiar, the airport’s public relations and governmental affairs manager, said on Thursday. Aguiar said Exec Jet Club is still the legal lease holder on its hangar and is up to date in its rent. Exec Jet Club also had an operation at Ocala International Airport. Grow said Landmark Aviation, Exec Jet Club’s landlord in Ocala, notified him the company shut its doors. “One of (Exec Jet Club’s) employees, who’s been on the airport for quite a while, is basically taking over the maintenance operation on a month-to-month basis until we can figure out exactly what we want to do,” Grow said. 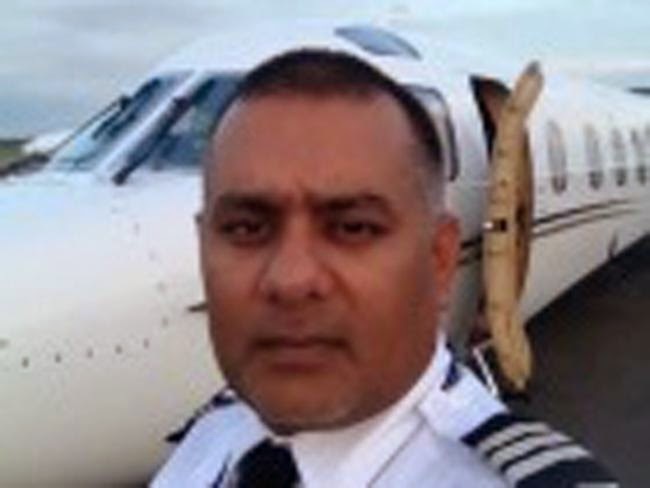 According to inewsguyana.com, Kem Khamraj Lall, CEO and head of operations for Exec Jet Club, was arrested after customs officials allegedly found $620,000 inside plastic bags, a blanket and garbage bags aboard a private plane that landed in Isla Verde, Puerto Rico, on Nov. 22. 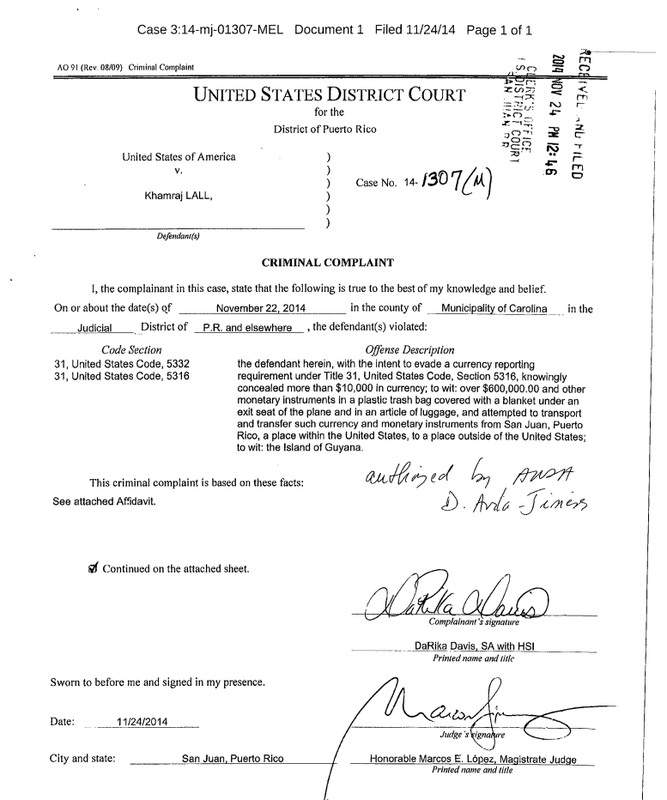 Federal law requires the declaration of sums of money aboard aircraft exceeding $10,000 and allegedly, Lall first told federal officials he had $5,000. 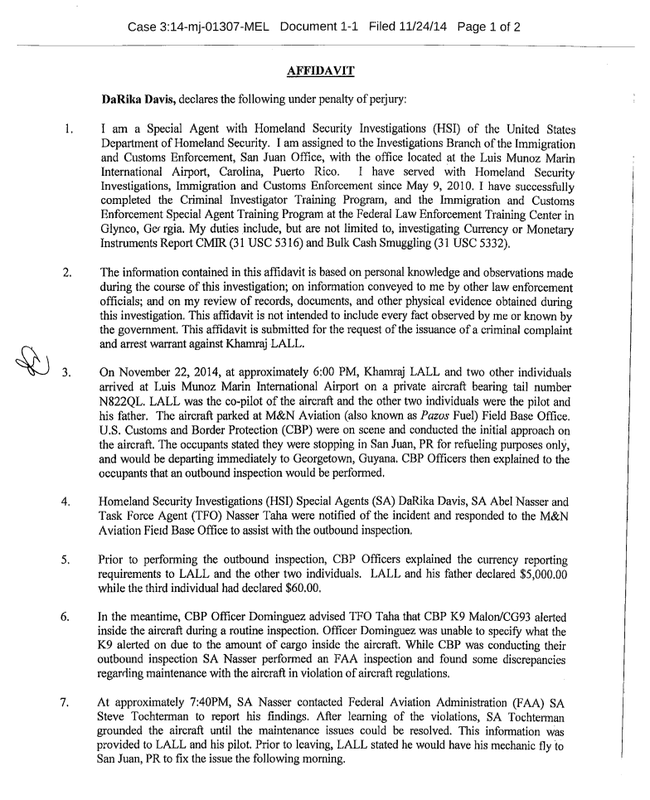 Lall is accused of falsely filing a federal report and smuggling, according to inewsguyana.com. According to the Exec Jet Club website, Lall is a Guyanese businessman and pilot who came to the U.S. 30 years ago. In addition to its operations at Gainesville and Ocala, Exec Jet Club also operated out of Cheddi Jagan International Airport in Timehri, Guyana. Officials at Exec Jet Club’s Guyana location did not respond to a request for comment on the status of its operations. Lall’s arrest has sparked a political firestorm in Guyana. Inewsguyana.com reported that Donald Ramotar, the country’s president, used Exec Jet Club three times for state visits. Meanwhile, the member of one Guyanese opposition party has called for an investigation into the company. “Airport staff has complained about the free movement of Jet Club personnel around (Cheddi Jagan International) and the almost non-existent security checks of the aircraft or its passengers,” inewsguyana.com quoted Cathy Hughes of the Alliance for Change as saying. Back in Florida, Grow, of Ocala International Airport, said he contacted the city attorney as soon as he heard of Lall’s arrest. 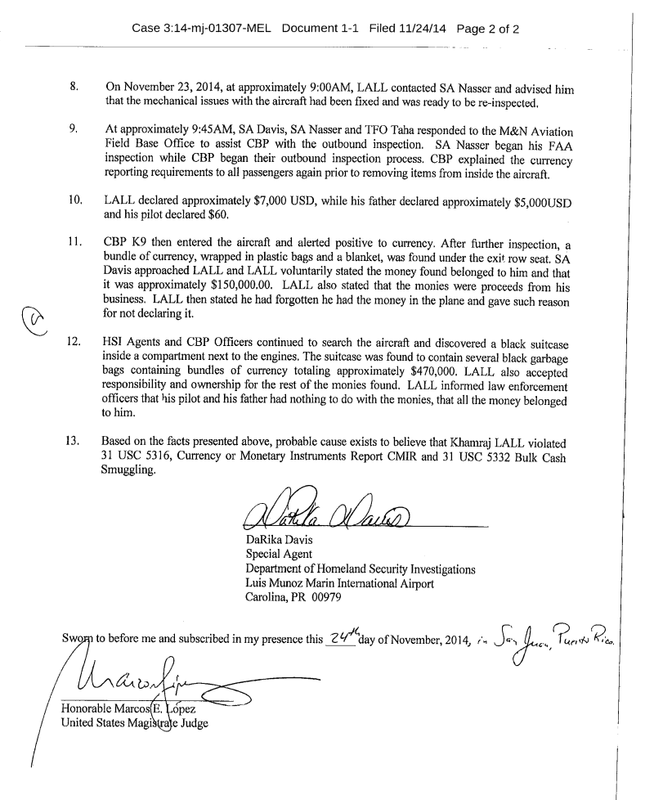 See ICE Agent Darika Davis’ affidavit in relation to the discovery of US$620,000 aboard the private jet of one Kharamj Lall; and the criminal complaint against Lall for a violation of Currency or Monetary Instruments Report and Bulk Cash Smuggling. Despite such optimism, there could be financial turbulence ahead for the A380. Airbus will break even on the plane in 2015, 2016, and 2017, but that outlook doesn’t hold for 2018, forcing the company to either spend heavily to improve the economics of its engines or discontinue the program, Wilhelm said. Although the four-engine A380, which cost $25 billion to develop, is popular with travelers, most carriers today prefer smaller twin-engine jets that are more fuel-efficient and can access more airports. Emirates is the standout fan, having ordered 140 of the planes—about 40 percent of the total—while other airlines have either backed off or are struggling to fill the jumbo’s two decks. “It’s an excellent plane, but it only works for the right destinations,” says Air France-KLM Chief Executive Officer Alexandre de Juniac, who aims to cancel the last two of a dozen A380s he has on order and swap them for smaller models. Carriers typically equip A380s with about 550 seats. Chris Buckley, Airbus’s executive vice president for Europe, Asia, and the Pacific, said the company has been “at fault” in its marketing of the aircraft, letting carriers customize the interiors in numerous ways rather than pushing the plane’s ability to carry far more passengers, lowering per-seat costs. Emirates’ president, Tim Clark, is urging Airbus to upgrade the A380’s engines. Because that would take about four years, “Airbus will be obliged to make a decision one way or the other in 2015,” says Yan Derocles, an analyst at Oddo Securities in Paris. He estimates an engine upgrade may cost Airbus €2 billion ($2.5﻿ billion) because of new work required on the wing. Emirates has been successful with its fleet of A380s because the airline uses its Dubai hub as a central point to connect major routes around the globe with just one stop. The A380 is also popular for flights at airports such as London Heathrow that cap the number of takeoffs and landings allowed, giving carriers an incentive to use larger aircraft. Smaller airfields lack the infrastructure to accommodate the huge plane. 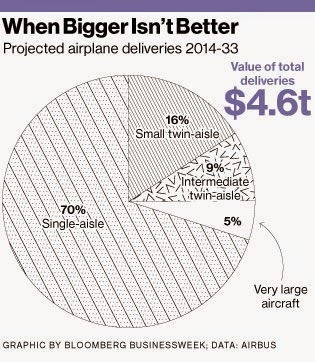 And airlines are adding long-haul service to secondary cities, where demand isn’t strong enough to fill an A380. A brawl involving three women erupted on a Chinese flight from to Chongqing to Hong Kong yesterday when two of them complained to a mum that her baby was making too much noise. The women, all believed to be Chinese, were warned that the pilot would be forced to turn back and make an emergency landing if they didn't stop fighting. The dispute arose on an Air China flight that took off at 9am after two women were awakened by the baby's cries and complained to 27-year-old mother, Chan Juan Sung. As the situation escalated, the two women reclined their seats fully backwards, which aggravated things further. A scuffle ensued, with one of the women hitting on her head on the overhead locker, until cabin crew managed to step in and separate the women. Passenger Xiong Wan, 45, said: 'I was sitting right next to them when they started telling the woman to shut the baby up. 'She started shouting back at them and before I knew what was happening she leant over the seat and punched one of them. 'They then started hitting her and all hell broke loose. Thankfully for the other passengers on board, the flight landed at its scheduled time of 10:52am. Hong Kong police were waiting to interview passengers about the incident. 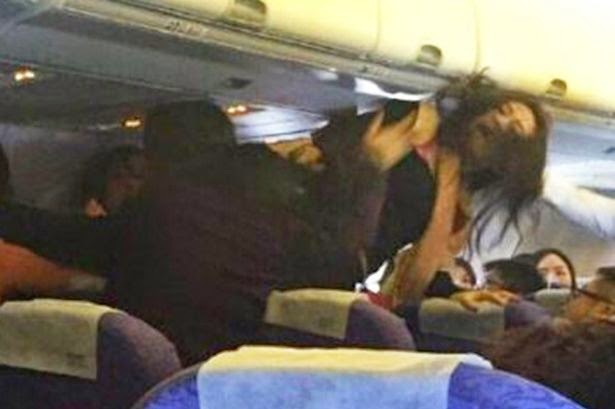 Air China spokesman Daio Weimin said: ‘Passengers cannot behave like this. The past few days have seen an alarming number of incidents on Chinese planes. The passenger was on a Xiamen Air flight from Hangzhou to Chengdu, and although cabin crew managed to diffuse the situation quickly and the flight took off on time. Only days before, a Chinese man had opened the emergency exit and deployed the slide after wanting to 'get off quicker' from his China Eastern flight that landed at Sanya Fenghaung International Airport in Hainan. Prior to this, a Chinese woman scalded a flight attendant by throwing a cup of hot noodles after finding out she wouldn't be sat next to her boyfriend. The incident occurred on a charter flight from Bangkok to Nanjing, China, and passengers were on hand to pull out their smartphones as the mid-air drama unfolded in front of them, snapping pictures as the injured flight attendant covered her face and shouted in pain.